Born in Montpelier, Vermont, Kristina Baer grew up in New Jersey. She earned her B.A. at Bennington College and her master’s and doctorate in Romance Languages and Literatures at Princeton University. She worked as a college professor, a magazine editor and writer, and a textbook publishing executive. She has published articles on topics in French literature and culture, general interest articles on gardening and higher education, and articles on the history of the Historic Point in Newport, RI. 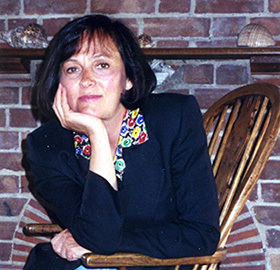 Her books include Leo Spitzer on Language and Literature (1991, Modern Language Association) and Captured Views: Impressions of Ten Gardens (2006, The Third & Elm Press). She has exhibited her poems and photographs at the Pacific Grove Art Center (Pacific Grove, California).